Every Monday morning I make my lunches for the week. They usually consist of some variation of ground turkey with a bunch of vegetables. I go between Mexican flavors and Italian. Sometimes I do Asian lettuce cups. Today I tried something different! 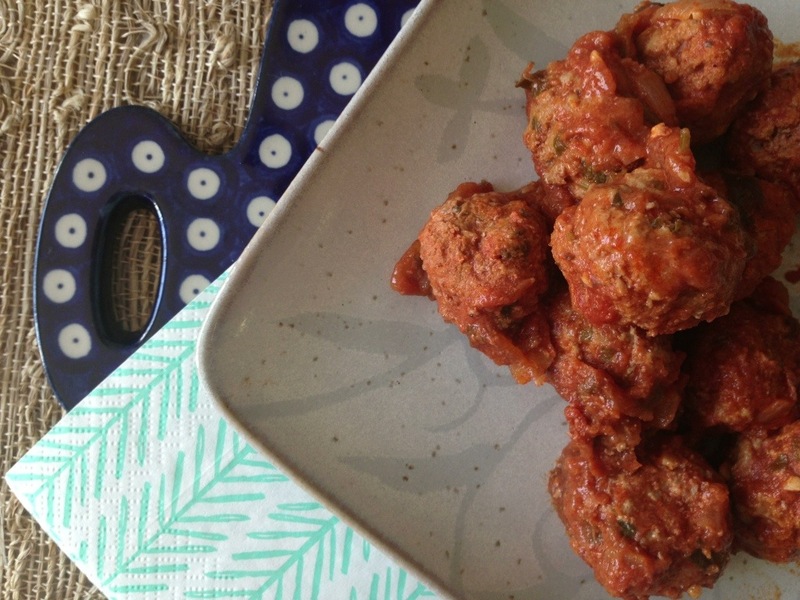 Here’s a great weekday lunch recipe for you- Moroccan turkey meatballs! They’re delicious with curried cauliflower. 1. Mash up all meatball ingredients in a bowl until well incorporated. 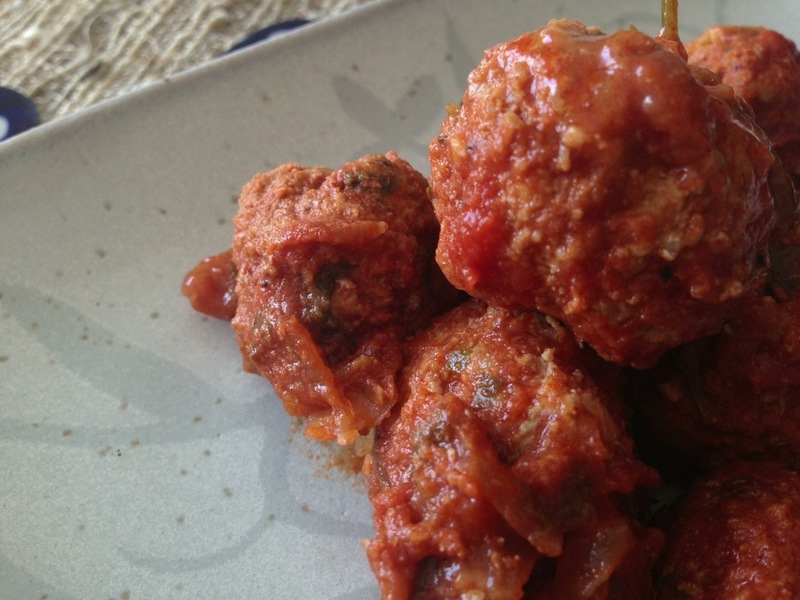 Form 1″ balls using wet hands and set aside on a baking sheet in the fridge while you make your sauce. 2. Sauté onion in the coconut oil until translucent in a large, deep stock pot. Add the garlic and spices and sauté just a moment longer. Add the tomatoes, tomato paste, chicken stock, and parsley. Bring to a boil and dissolve the tomato paste. Reduce heat to simmer. 3. Carefully place the meatballs into the sauce in a single layer. 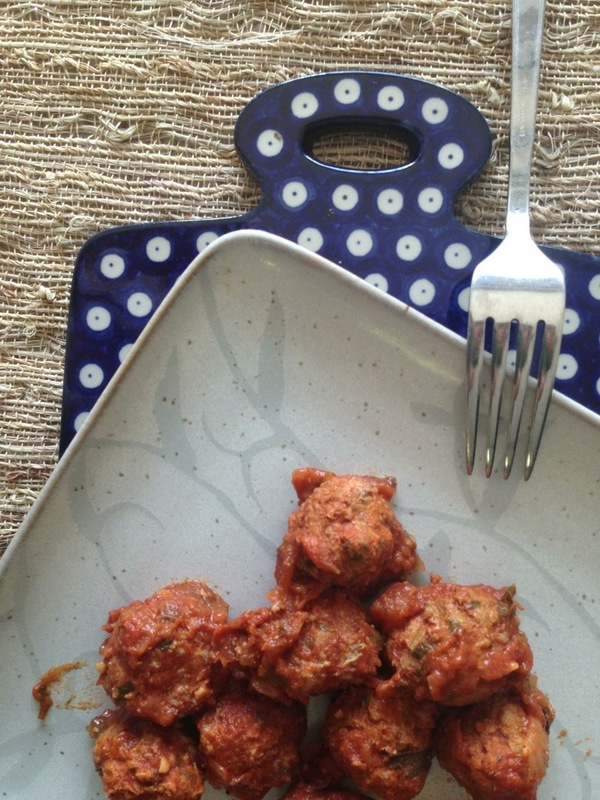 This might be tricky, so use a spatula to gently push the meatballs to make room for all of them. Cover the pot and simmer for 40 minutes. Take the cover off and simmer for another 15-20 mins to allow the sauce to thicken. Love this dish! The base recipe came from the book Well Fed by Melissa Joulwan. I simply halved the recipe and made some minor adjustments. Whether you’re eating paleo or not, I highly recommend this cookbook for flavorful recipes! I love “Well Fed.” My only beef with it is that I wish it had more recipes. I love how much she uses different spices!